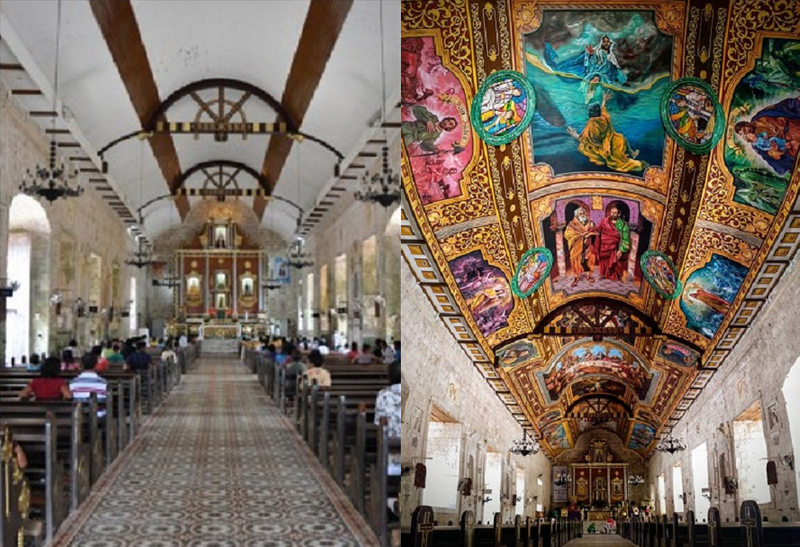 This church in Bantayan Cebu is a heaven to experience, as bible stories and characters were printed on the ceiling of St. Peter and Paul Parish. Built in 1580, the church was already 438-year-old which is known to Bantayanons as "San Pedro, San Pablo,". The historic church has undergone many repairs but the original large part of the structures were still intact. Thanks to the great artist Aris Pastor and 11 of his comrades from the Dibuho Kisame Crew. "It's been his dream to paint a church's ceiling, like Michelangelo's work at the Sistine Chapel in Italy. "Kaya hindi ko na pinalagpas yung opportunity," Pastor told GMA's YouScoop. They started to paint the ceiling in August 2018 with their target to finish by May 2019. The mission is to present a visual liturgy that will remind Bantayanon's faithful of the Love and Mercy of the Lord. If finish, Bantayanon will be the first to have a church that can be likened to the Sistine Chapel in the Vatican.